Driver Education is a 4 day Course, offered in our classroom at DANVILLE DRIVING SCHOOL, which when completed, qualifies a teen to get his or her permit at the DMV. Driver Training is a 6 hour Behind-the-Wheel course offered by DANVILLE DRIVING SCHOOL scheduled at convenient times such as after school, in the evening, and on weekends. This is generally scheduled as 4 – 1½ hour lessons. Lessons must be supplemented with 50 hours of practice with a parent, guardian or other California driver over the age of 25 with a valid license. 3. How is DANVILLE DRIVING SCHOOL different than other schools I might consider? Our reputation, our high standards of customer service and flexibility in meeting your needs sets DANVILLE DRIVING SCHOOL apart. When you call our office, you will reach a live person during business hours, Monday through Friday, from 10 am to 5 pm. While others may only offer you voicemail or answer their phones at the close of the day because they are a part-time school, YOU, our valued customer, will be able to call and enroll or ask questions about scheduling with a live person during our full-time office hours. We are here to serve and take care of your needs. We do not cancel classes. This is our full time business. 4. What can I do if I am dissatisfied with the service of another school with which I am registered? If you are dissatisfied with the service or quality of another school, call DANVILLE DRIVING SCHOOL at (925) 837-8235 to speak to us about transferring your enrollment. 5. At what age can a teenager get started in obtaining a driving permit? You can start the process of Driver Education at DANVILLE DRIVING SCHOOL when you begin high school. 6. Is the legal age for obtaining a permit going to change in the near future? No. While rumors persist, the legal age for a Driver�s License is still age 16. 7. Do I need an appointment to take a written permit test? No. You can walk in the door at the DMV and request a written permit test. You can also schedule online by going to www.dmv.ca.gov or by calling the DMV ahead to make an appointment. DANVILLE DRIVING SCHOOL recommends you get there 1 � hours before closing because the DMV does not allow testing to begin within one hour of closing. Generally this will be at 4 pm. By going online you can look up DMV locations, hours of operation and estimated wait times by clicking on the Offices tab. 8. What do I do if I lose my certificates to take the permit test? Get replacements. Do not go to the DMV without all necessary forms which can be obtained at DANVILLE DRIVING SCHOOL. 9. Do I need an appointment to take a driving test? Yes. You may make an appointment with the DMV for a license test over the phone or online no more than 30 days in advance of the end of your 6 month holding period. 10. Does my insurance cover my teen while they are driving with a permit or license? DANVILLE DRIVING SCHOOL suggests you check with your personal insurance company. Generally a teenager is covered under a parent�s policy while the teen has a permit. Once a provisional license is obtained, your teen must be added to your policy. 11. 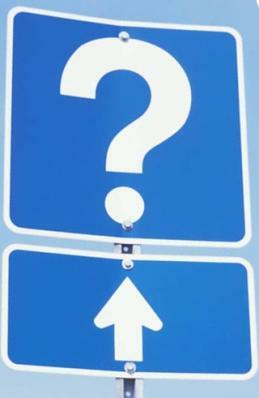 Must I use DANVILLE DRIVING SCHOOL for both the Driver Education and Driver Training Program? You will receive a DISCOUNT for signing up with us for both. While both courses are required by the state of California, it is not mandatory that they be taken at the same facility. 12. Can I request a specific Instructor for my teen�s driving lessons? Yes. DANVILLE DRIVING SCHOOL has both male and female Instructors. Often students already know our Instructors as teachers from their school and will ask for a specific Instructor. 13. What must a student driver have at each driving appointment in order not to have their appointment cancelled? A student MUST have their permit in order to take their lesson. 14. Must a parent be home when the Driving Instructor arrives? No, although sometimes a parent will want to meet the Instructor in person for the first lesson to discuss scheduling future driving appointments. 15. How do I get in touch with my Instructor once I have been assigned to one? A student or parent can often call the Instructor directly. Ask for their name and either a home or cell number. You can also always call the office at DANVILLE DRIVING SCHOOL if you misplace the Instructor�s information. 16. What do I do if I must miss a Driver Education class? This is not unusual. Simply call DANVILLE DRIVING SCHOOL to arrange a make-up session. When you arrive for your make-up, check in at the front desk and we will pull your paperwork to continue with your course. 17. What do I do if I must miss a Driver Training lesson? Call your Instructor directly or call DANVILLE DRIVING SCHOOL to leave a message for your Instructor that you need to be rescheduled for a driving lesson. 18. Will appointments still be kept if the weather is bad? Yes. Weather is changeable and drivers must learn to navigate in all its forms. Consult your Instructor or call DANVILLE DRIVING SCHOOL if a particular road condition is making you uncomfortable. 19. What do I do if my Instructor is late? Sometimes traffic conditions or a previous appointment will detain an Instructor. DANVILLE DRIVING SCHOOL suggests you allow a 15 minute leeway before you become concerned. After that you can call DANVILLE DRIVING SCHOOL to make sure that there has not been a miscommunication regarding the right date and time for your appointment. 20. What do I do if my permit expires? A permit is generally good for one year. If a permit expires, the student will need to take another written permit test so they can drive. DANVILLE DRIVING SCHOOL recommends you go to the DMV with proper identification and retest. You do NOT need to retake your Driver Education classes but will need to show all the same paperwork as if you are meeting the requirements for the first time: Birth Certificate, Driver Education Certificate, Driver Training Enrollment Certificate, and new (DL-44) form. You must also pay another fee of approximately $28. 21. What do I do if I lose my permit? You must replace a lost permit through the DMV by paying a small fee and presenting proper identification. This is simple to do. 22. What do I do if I fail my permit test? If you fail your permit test by missing 7 or more questions from a total of 48, you will have to wait a week and retest. You may take the written test 3 times. 23. What do I do if I fail my license test? You may wish to take a brush-up lesson with DANVILLE DRIVING SCHOOL if you fail your Driver�s License test, or you may simply wait and retest. Find out why you failed the test and practice improving those skills. You must wait 2 weeks between tests and pay a retest fee of $5. You are entitled to a total of 3 license attempts. It would be very unusual for a student to fail three times. If that were to occur, you would then pay $28, file a new License Application (DL-44), take another written permit test, pass the test, get another permit, and wait 2 weeks. You will have 3 more test possibilities with no Driver Education, no Driver Training and no 6 month permit requirement. 24. Can a parent, friend or relative ride along with his or her teen during driving lessons with the Instructor? 25. Does DANVILLE DRIVING SCHOOL offer driving lessons for a stick shift? 26. Does DANVILLE DRIVING SCHOOL offer driving lessons for a motorcycle? 27. Does DANVILLE DRIVING SCHOOL ever cancel classes? 28. Is one DMV testing site preferable to another? Comfort zones are often a matter of opinion. Call DANVILLE DRIVING SCHOOL and we can offer you some of the opinions expressed by former students. 29. Does DANVILLE DRIVING SCHOOL ever allow their cars to be hired for driving tests? Yes, on occasion, but only with approval. Call DANVILLE DRIVING SCHOOL for pricing and conditions. 30. Can I call DANVILLE DRIVING SCHOOL at any time with my questions or concerns? Yes. Call to speak with a live person Monday through Friday, 10 am � 5 pm. We look forward to hearing from you and providing all of your future driving needs.